Whoa, check me out, two days in a row! It's a small victory, but I'll take it. Just know, that I've fought with an overly exuberant calico tween (what comes between kitten and cat?) to try and get these photos taken. It was not easy and only fun for one of us. My prize though? 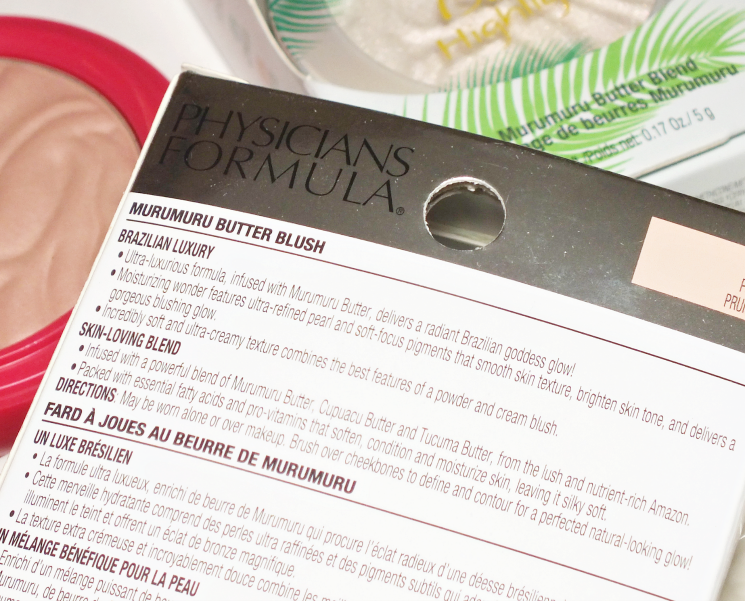 Getting to play with the wondrousness that are the Physician's Formula Murumuru Butter Blush & Highlighters. I don't like to complain about life in Canada. I mean, is it perfect? Not quite, but it could certainly be worse (ahem, toxic orange...) The thing is, even though we have most of the same brands our American cousins have, we just don't have access to all of the same products. Like the Physicians Formula Butter Collection Palettes. Oh, how I wanted one. I was never able to find them locally and then found out that was because we never got them. Just call us Gretchen Wiener. Once swatched, and ultimately used however, I quite like the shade but it won't be for everyone. 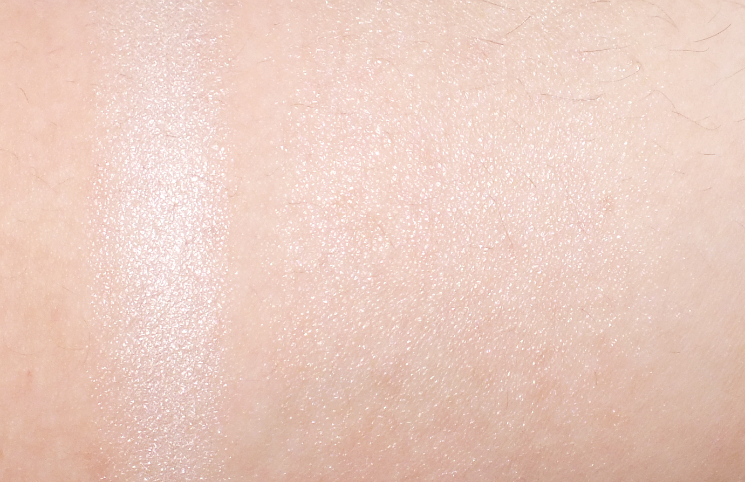 It's not intensely pigmented, but is build-able and offers a decent wash of colour for fair to medium-ish skintones. I say 'ish' as this really won't suit anyone darker than the lighter side of medium. Plum Rose is best described as a rosy-kissed taupe with a natural matte finish. It boasts a smooth, creamy feeling powder formula, but is indeed a powder. The formula does contain murumuru, capuaccu, and tacuma butters that add to the silky feel but I doubt there is much / any benefit to your skin (sorry, PF.) The compact features what is pretty standard for PF, with a mirror and applicator under the pan. I thought perhaps the product won't work with a brush, as a sponge applicator is included, but it does pick up pretty well with your standard blush brush. I clearly couldn't try a blush without a highlighter, and given that these were on sale (a whopping $3 between the two, so I'm pretty much set up for early retirement now) I'd be crazy not to. 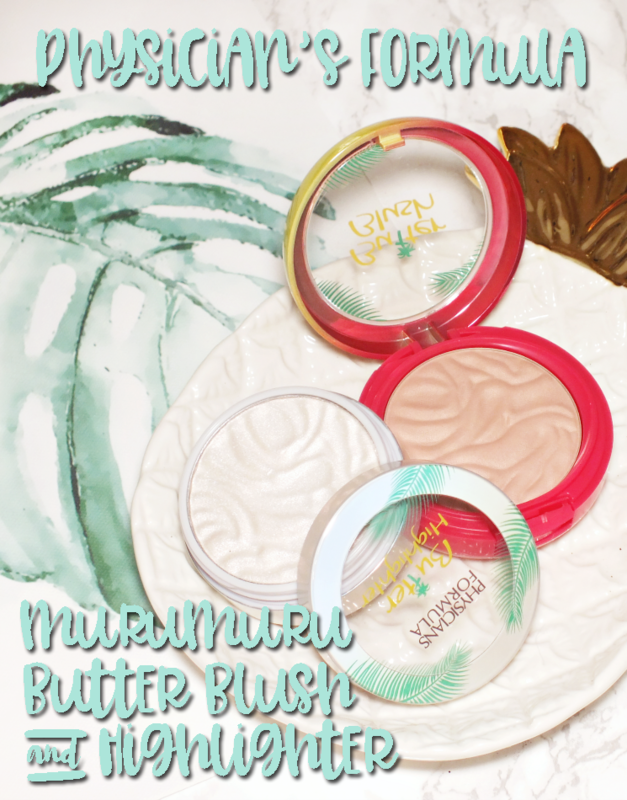 The Physician's Formula Murumuru Butter Highlighter range offers up five shades, with something for most (aka they do have offerings suitable for deeper skintones, unlike the blush.) Being on the lighter side of the spectrum, I opted for Pearl. Housed in a twist top compact, this formula is a cream-powder with the buttery feel you'd expect from name. The downside to the silky, buttery, glowy perfection is that this doesn't play so well with brushes. It applies best with a finger, but does so very easily- a little pat over high-points and you're golden. White gold, that is. I have yet to capture a highlight as true to form as it is in person, so forgive my 'meh' swatches. Pearl offers a white gold glow with a soft pink shift. It is stunning! I love that it's got a hint of something shimmery, but is still refined (aka no glitter or visible pieces.) 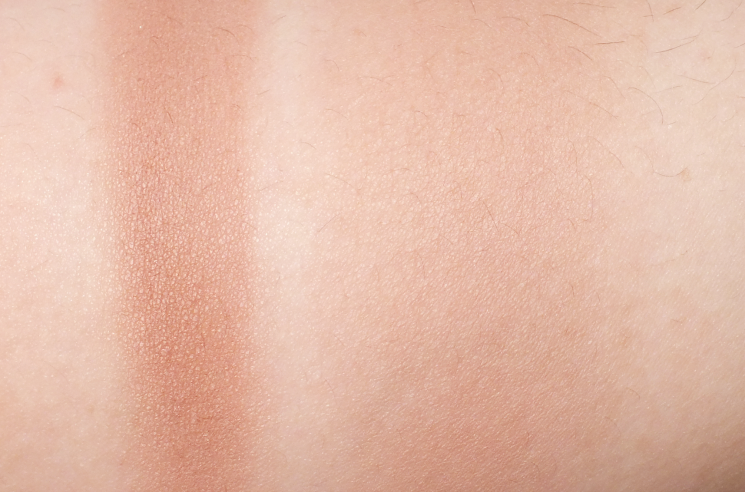 It melds seamlessly with skin for a radiant glow what isn't too subtle or instagram level outrageous. 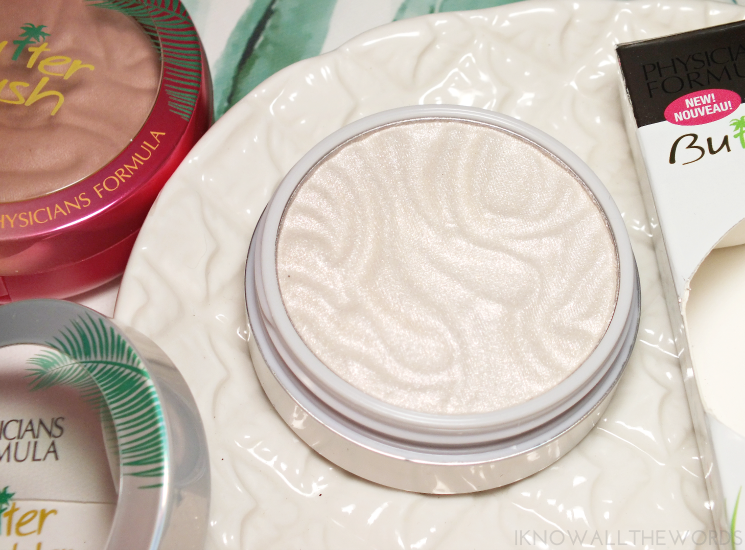 It may just be the best drugstore highlighter, like ever. Overall, I'm pretty pleased with these! 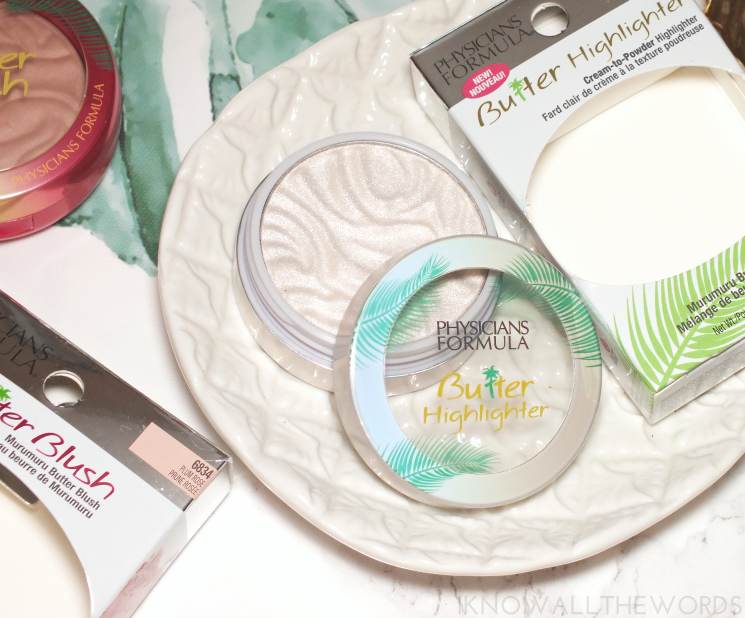 I can see the blush being a go-to for the fall, and the natural glow of the highlight is just as pretty as my most reached for (and much more expensive) favourites. Oh, but how could I not mention the scent? Scented products can be pretty gimmicky, but in this case I am all for it. The coco-nutty, suntan lotion inspired scent is wholly appealing to me (it just smells so good!) but won't be for anyone who isn't into that sort of scent. 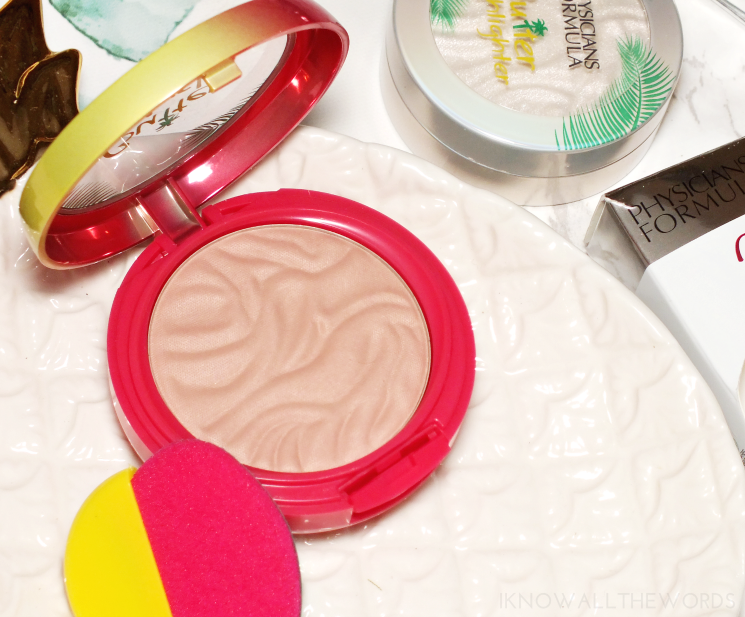 The highlighter does have a softer scent than that of the blush though, so there's that. What do you think? Have you tired anything from this range? Want to?